[Map of California shown as an island]. 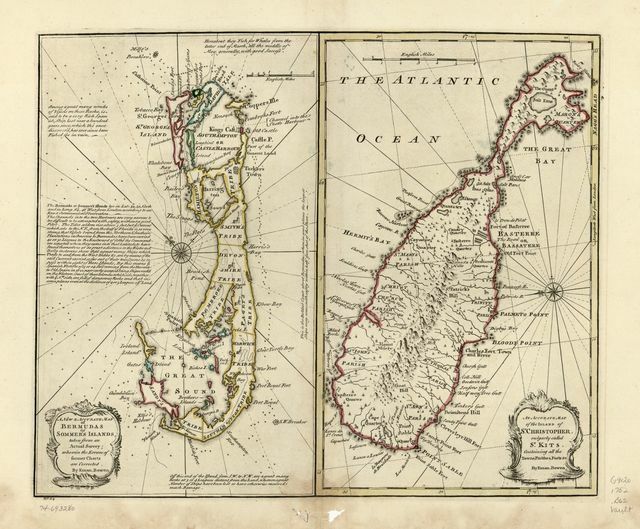 [Maps of Bermuda, Iceland, Jan Mayen Island, and Newfoundland]. An exact draught of the island of New Providence one of the Bahama Islands in the West Indies. [Map showing Trinidad Island and adjacent coast of Venezuela]. A new & accurate map of Bermudas or Sommer's Islands, taken from an actual survey; wherein the errors of former charts are corrected. 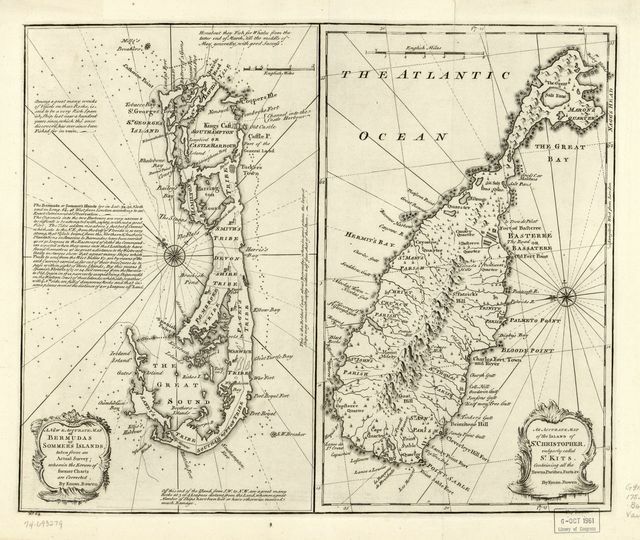 An accurate map of the island of St. Christopher, vulgarly called S. Kits, containing all the towns, parishes, forts &c.
A new & accurate map of Bermudas or Sommer's Islands, taken from an actual survey; wherein the errors of former charts are corrected. An accurate map of the island of St. Christopher, vulgarly called St. 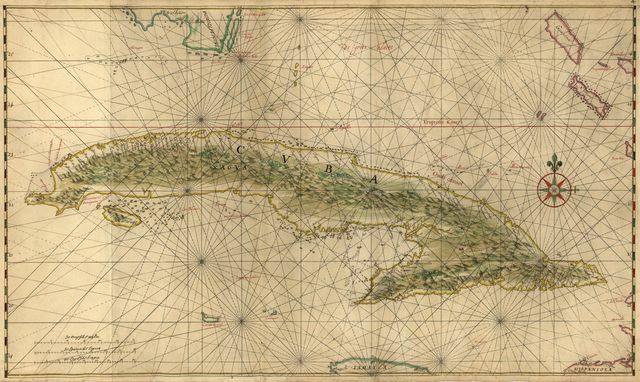 Kits, containing all the towns, parishes, forts &c.
A new & accurate map of the island of Cuba. 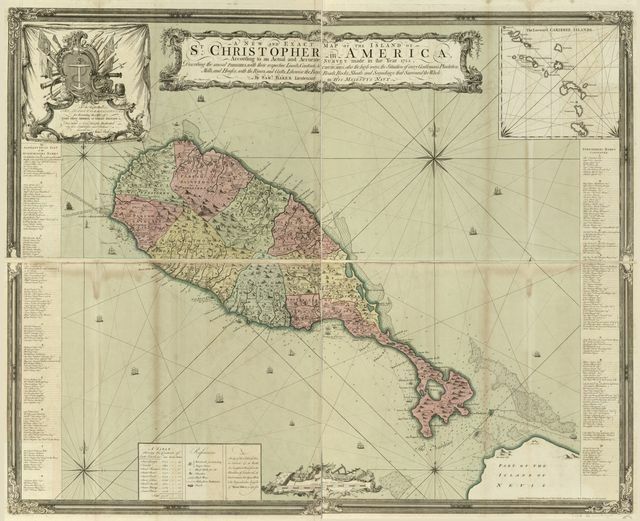 A new & accurate map of the islands of Hispaniola or St. Domingo and Porto Rico. An exact chart of the river St. Lawrence, from Port Frontenac to the island of Anticosti shewing the soundings, rocks, shoals &c with views of the lands and all necessary instructions for navigating that river to Quebec. A new and correct chart of the harbour of Havana on the island of Cuba with a plan of ye city &c.
A map of Fort Royal Bay in the island of Martinico. A new chart of the river St. Laurence, from the island of Anticosti to the falls of Richelieu: With all the islands, rocks, shoals, and soundings, also particular directions for navigating the river with safety. Taken by the order of Charles Saunders, Esqr. 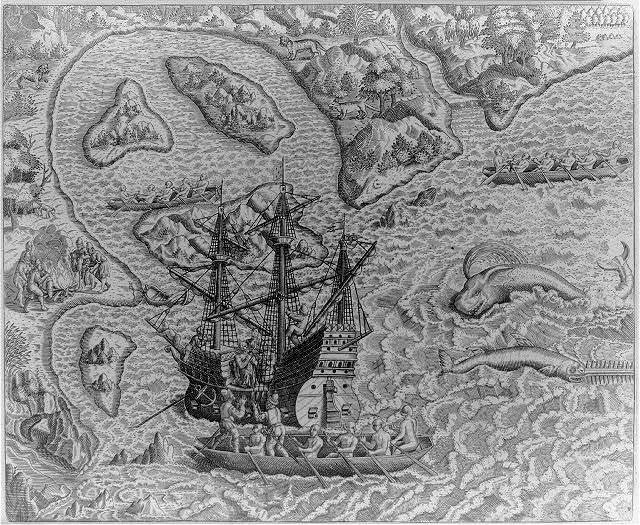 ... in the expedition against Quebec in 1759. 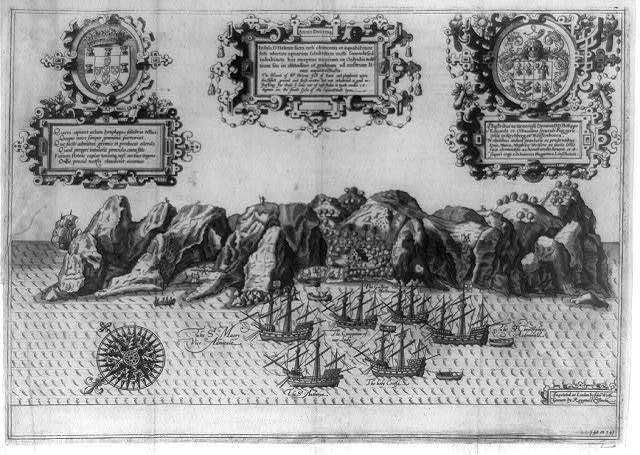 A Plan of the island of Porto Rico. A new chart of the seas surrounding the island of Cuba with the soundings, currents, ships, courses &c. and a map of the island itself lately made by an officer in the Navy. 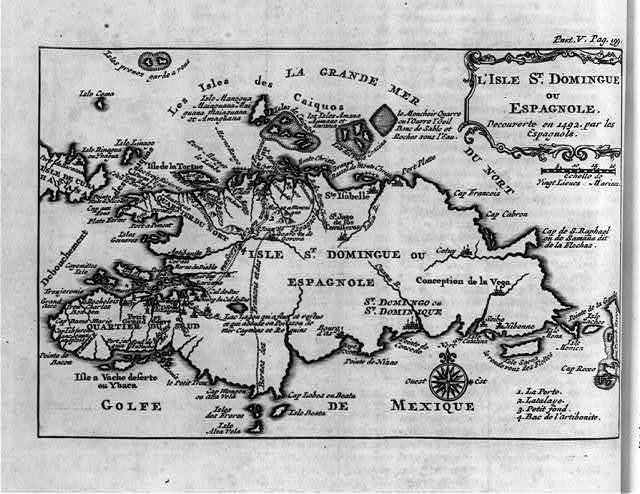 The island of Hispaniola called by the French St. Domingo. Subject to France & Spain. A plan of the city and harbour of Havanna, capital of the island of Cuba. 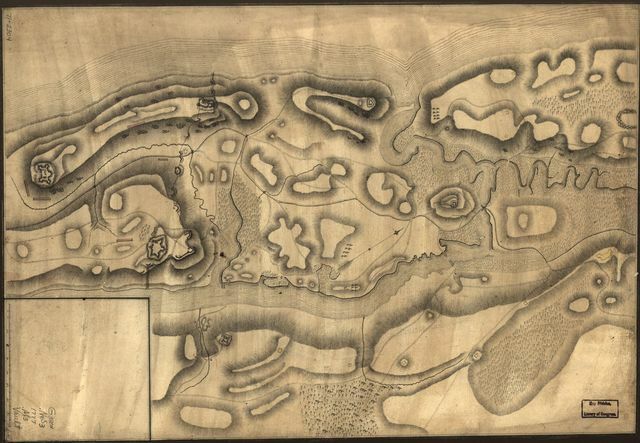 Designs for fortifying Governors Island near New York. 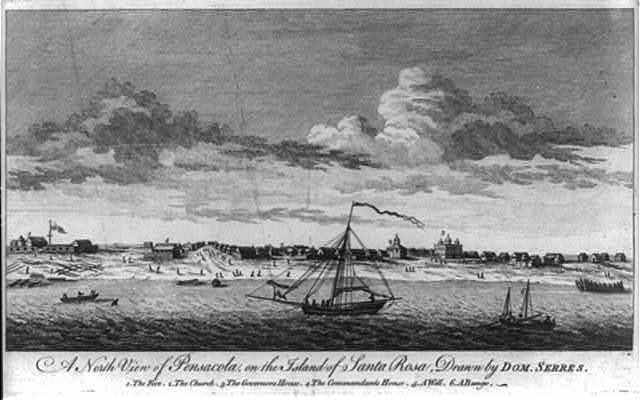 A north view of Pensacola, on the Island of Santa Rosa / drawn by Dom. Serres. 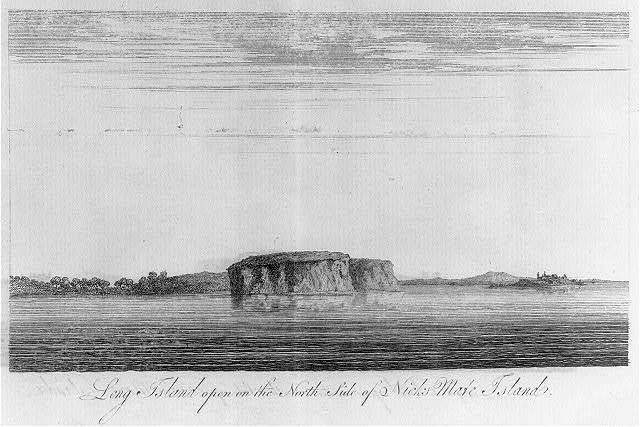 A view of the of the Pierced Island, a remarkable rock in the Gulf of St. Laurence - two leagues to the southward of Gaspée Bay Vuë de l'Isle Percée, rocher remarquable dans le Golfe St. Laurent a 2 lieues au sud de la Baye de Gaspe / / drawn on the spot by Capt. Hery. 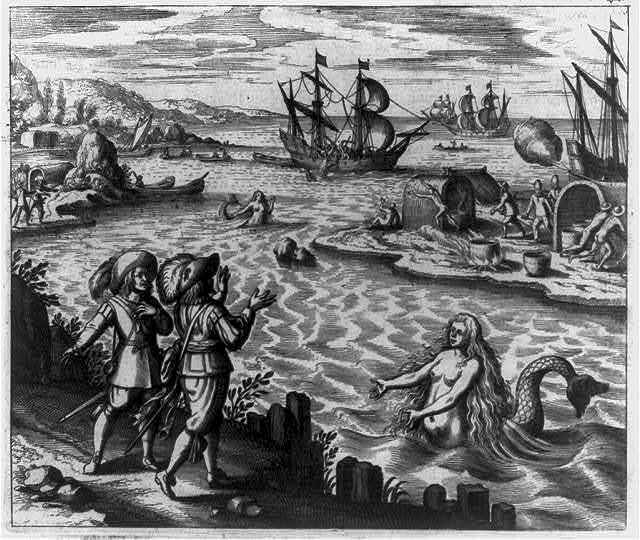 Smyth ; engraved by P. Canot. 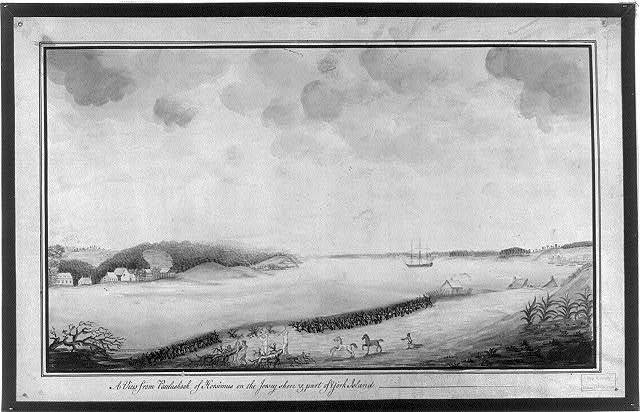 An east view of Fort Royal in the Island of Guadaloupe Vue du Fort Royal, dans l'Isle de Guadaloupe, du Cote de l'Est / / drawn on the spot by Lieut. Arch. Campbell Engineer ; engraved by Peter Mazell. 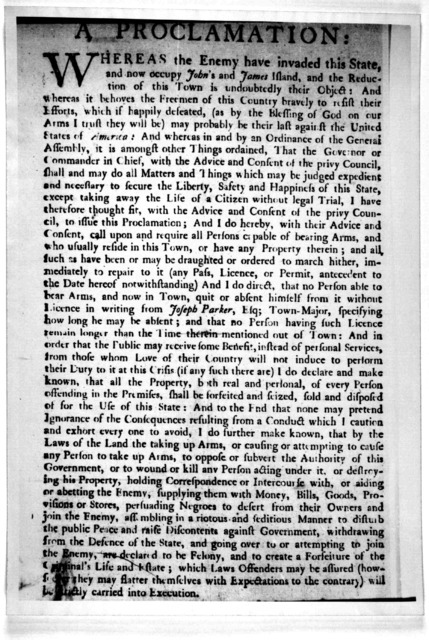 A proclamation: Whereas the enemy have invaded this state, and now occupy John's and James Island, and the reduction of this town is undoubtedly their object. [Re. bearing arms] [Charleston, S, C. 177-]. 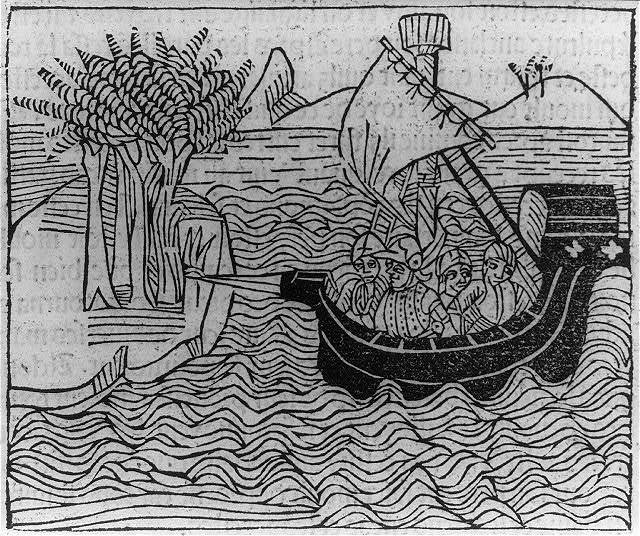 Afiatooka, or Morai in Tongataboo [i.e. Tongatabu] / Webber del. ; Cook sculp. The Natche, a ceremony in honour of the Kings son in Tongataboo [i.e. Tongatabu] / Webber del. 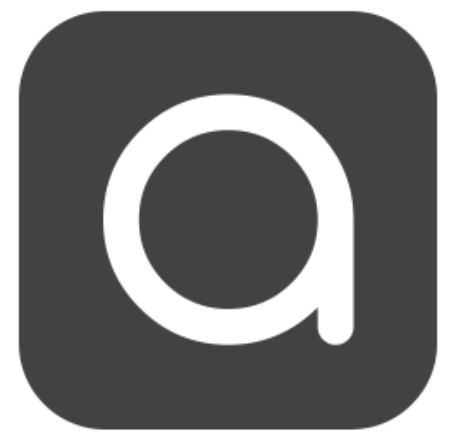 ; Angus sc. [New York Island and East Jersey. Unfinished. 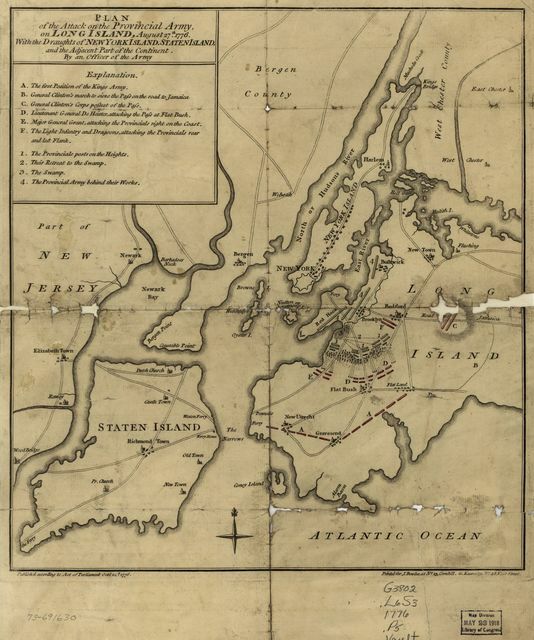 [A chart of New York Island & North River: East River, passage through Hell Gate, Flushing Bay, Hampstead Bay, Oyster, Huntington Bay, Cow Harbour, East Chester Inlet, Rochell, Rye, Patrick Islands, ec. An exact chart of the river St. Lawrence, from Fort Frontenac to the island of Anticosti shewing the soundings, rocks, shoals &c with views of the lands and all necessary instructions for navigating that river to Quebec. An exact chart of the river St. Laurence, from Fort Frontenac to the island of Anticosti shewing the soundings, rocks, shoals &c with views of the lands and all necessary instructions for navigating that river to Quebec. A general & particular plan of the island of Castle William near Boston, shewing the works in their original & present state, together with sections thro' the same. 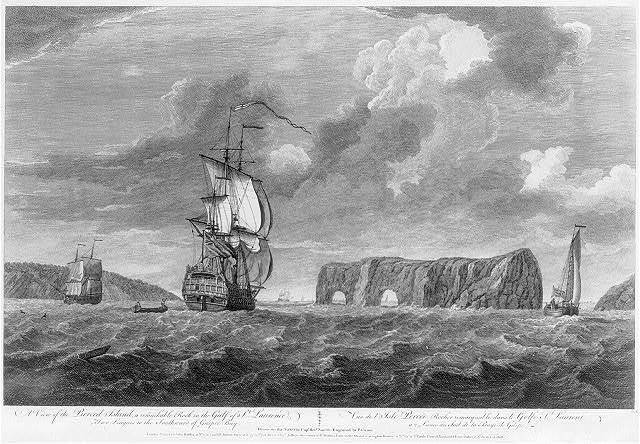 Carried on and survey'd under the direction of and by John Montrésor, Esqr., engineer extraordinary & Capt. Lieut. by order of the Honble: Thomas Gage, Esqr., Lieutenant General and Commander in Chief of His Majesty's forces in North America. 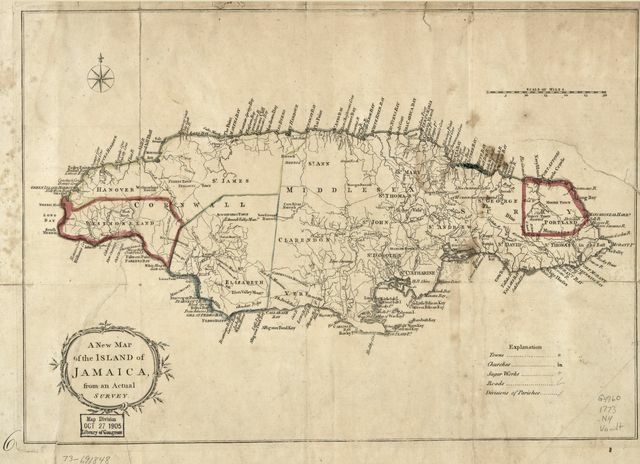 A New map of the island of Jamaica, from an actual survey. 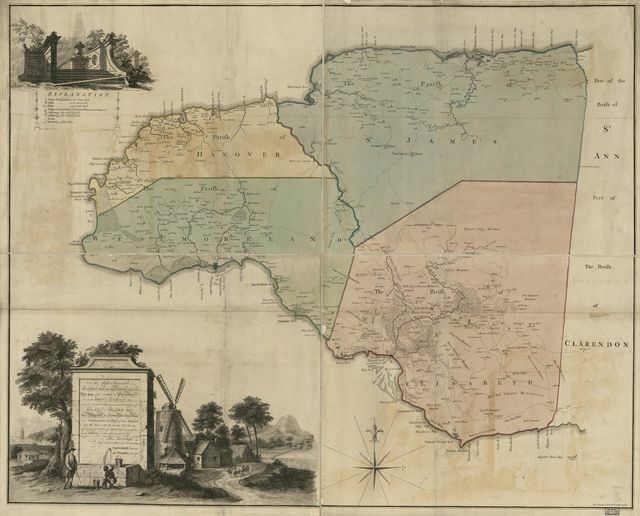 A plan of the island of St. John with the divisions of the counties, parishes, & the lots as granted by government, likewise the soundings round the coast and harbours. 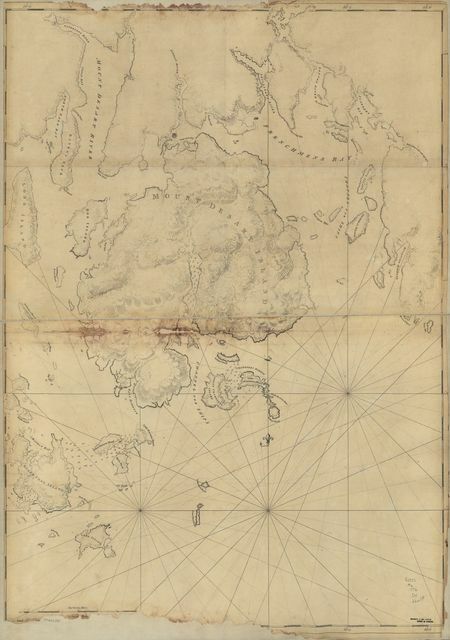 [Coast of Maine showing Blue Hill Bay, Penobscot Bay, Belfast Bay, Islesboro Island, Deer Island, and other islands. 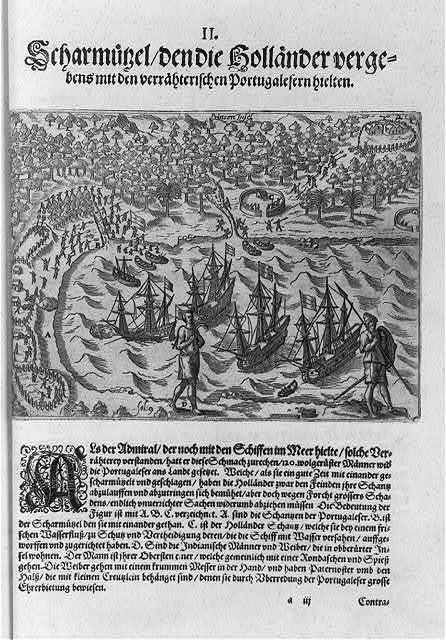 Plan of the attack the rebels on Long Island, by an officer of the Army. 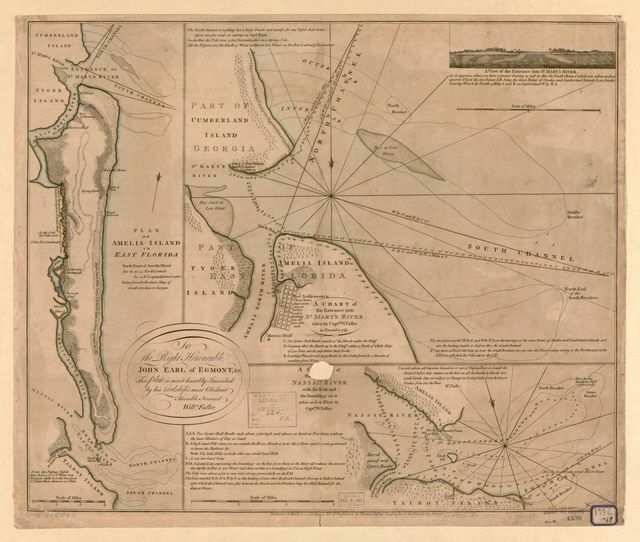 [Chart of Nantucket Island and the eastern half of Martha's Vineyard. 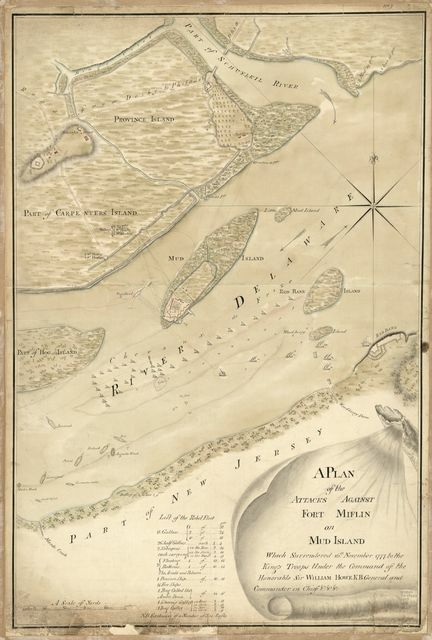 A plan of the Narrows of Hells-gate in the East River, near which batteries of cannon and mortars were erected on Long Island with a view to take off the defences and make breaches in the rebel fort on the opposite shore to facilitate a landing of troops on New York Island. [Mount Desert Island and neighboring coast of Maine. [Coast of Maine from Salter Island to Portland Head. Plan of the island of St. Vincent laid down by actual survey under the direction of the Honorable the Commissioners for the Sale of Lands in the Ceded Islands. 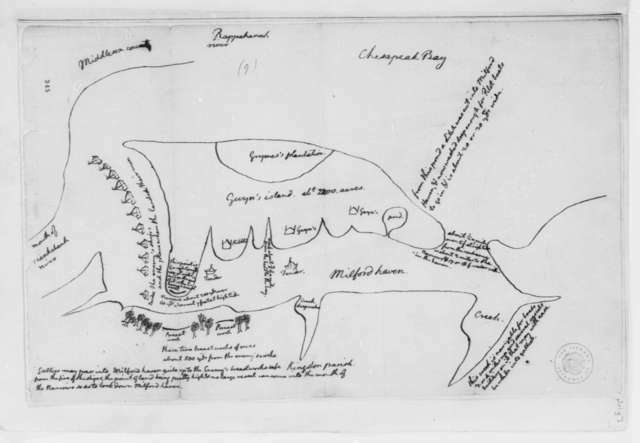 Plan of the island of Tobago, laid down by actual survey under the direction of the Honorable the Commissioners for the Sale of Lands in the Ceded Islands. The attack on the fort on Sulivan's Island the 28 June 1776 / painted by Henry Gray. 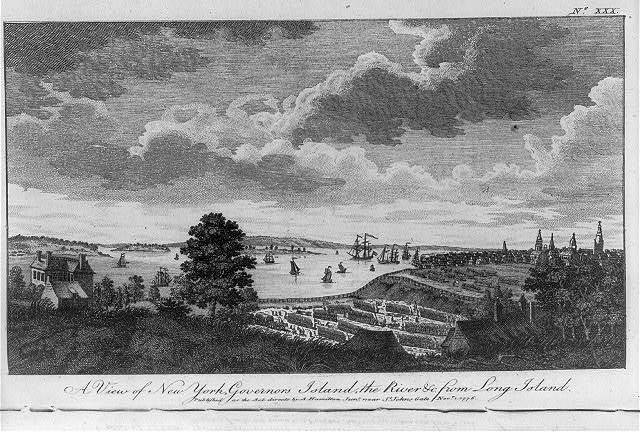 Sketch of the country illustrating the late engagement in Long Island. 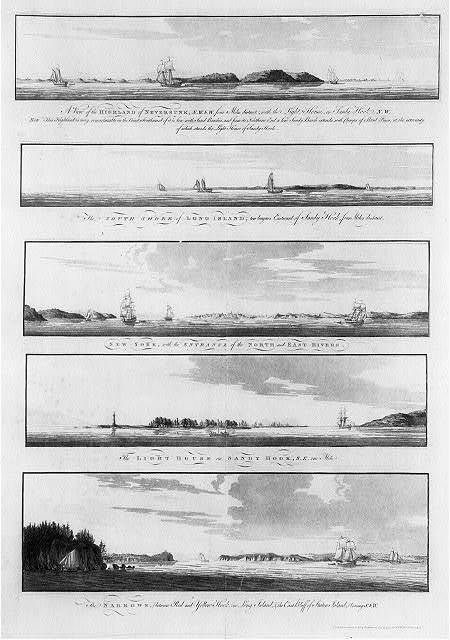 [Coast of Maine showing entrances of Blue Hill Bay, Isle of Haut Bay, and Penobscot Bay, with Owls Head, Vinalhaven Island, Isle au Haut, and other islands. 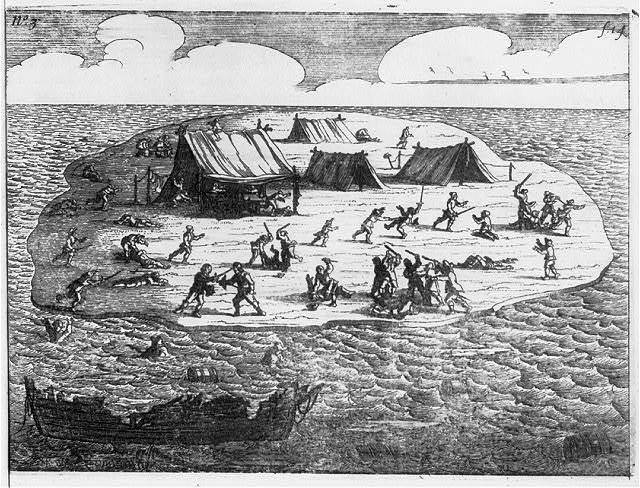 Attaque de l'armée des provinciaux dans Long Island du 27. aoust 1776; dessin de l'isle de New-York et des Etats. [New York Island. Military; unfinished. 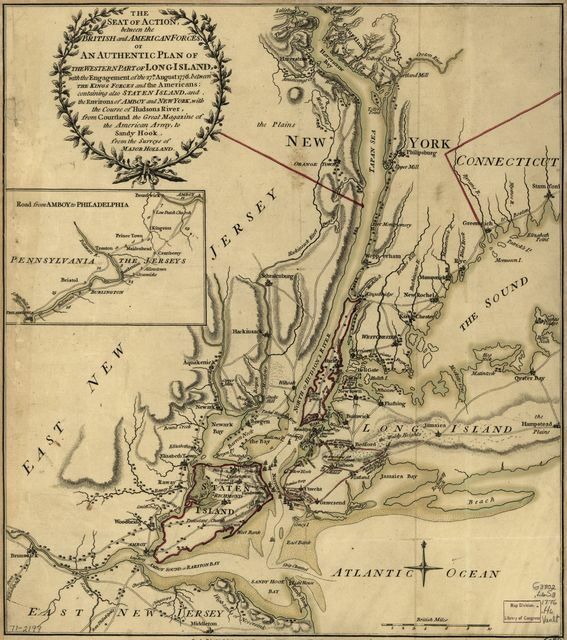 A plan of the attack of Fort Washington, now Fort Knyphausen, and of the American lines on New-York Island by the King's troops, on the 16th of November 1776. 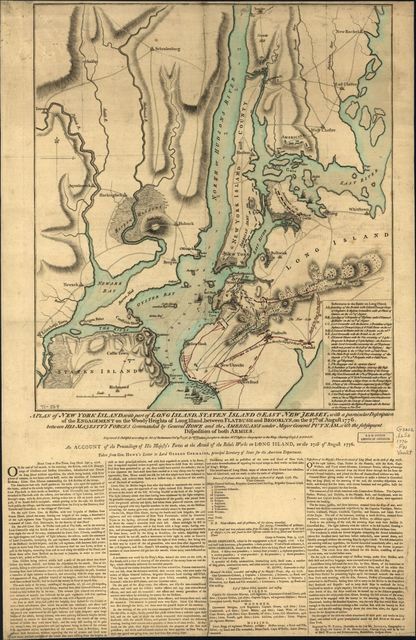 [Map of defenses of New York Island from Fort Washington to Fort Independence, with redoubts, etc. planned between. 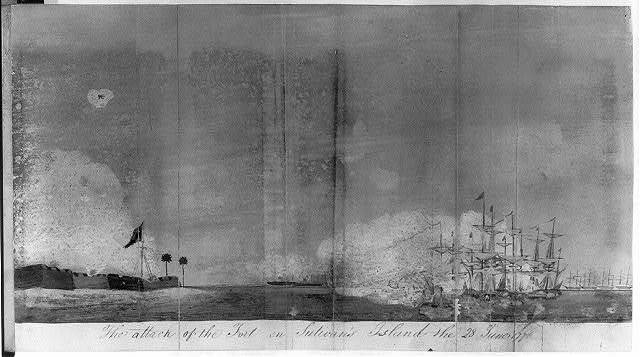 View of the Rebel fort and works, on Mud Island comprehending Red-Bank on the Jersey shore; taken from * [southeast shore of Carpenter's Island] in front of the 6 gun battery / surveyed & drawn by P. Nicole. 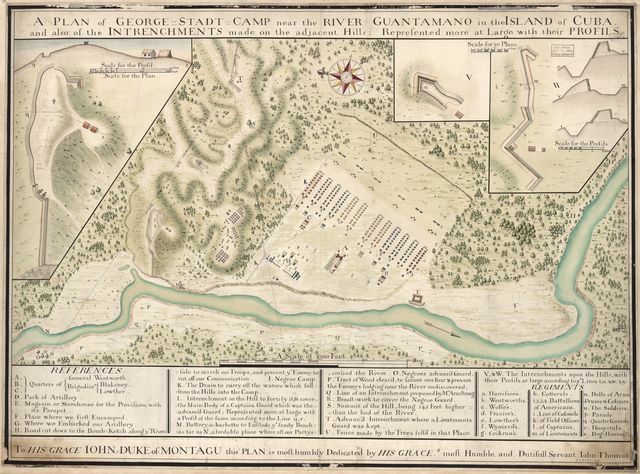 A plan of the attacks against Fort Miflin on Mud Island which surrendered 16th, November 1777 to the Kings troops under the command of the honorable Sir William Howe K.B. general and commander in chief &c., &c.
A survey of the city of Philadelphia and its environs shewing the several works constructed by His Majesty's troops, under the command of Sir William Howe, since their possession of that city 26th. September 1777, comprehending likewise the attacks against Fort Mifflin on Mud Island, and until it's reduction, 16th November 1777. A view in the Island of Jamaica, of the spring-head of Roaring River on the estate of William Beckford esqr. / drawn on the spot, and painted by George Robertson ; engraved by James Mason. 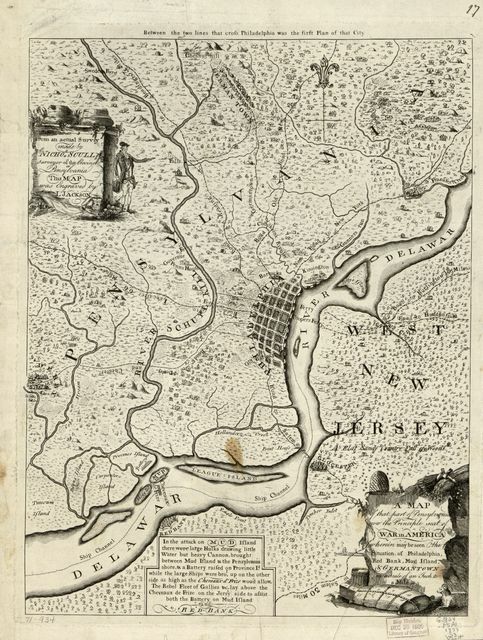 Plan of the city of Philadelphia and its environs shewing its defences during the years 1777 & 1778, together with the siege of Mud Island on the River Delaware. Part of Long Island; and the coast eastward to the shoals of Nantucket. 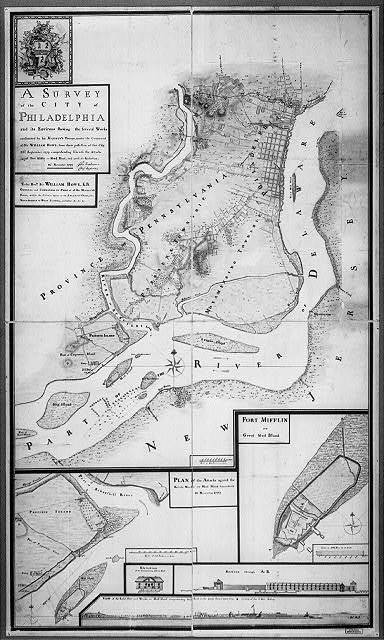 Plan of Fort Mifflin on Mud Island, with the batteries on Province Island. [New York Island. Military. Unfinished.